Whatever nefarious intention Mark Zuckerberg had when he originated Facebook, the social media site works best as a “book” that links a name to a face. Twitter arrived with a 140 character minimum to get the word out quickly and for short, efficient exchanges with other key people in your sphere. Google wants a social network to get to you know better such that their search returns fit you perfectly. Pinterest enables a filing system for inspirational, lushly colored imagery for dream-boarding, reference and future use. And then we have LinkedIn. The oldest member of today’s top 5 social media networks in the US. LinkedIn launched in 2003, built as a professional network by Reid Hoffman and some of the founders of PayPal. It is a virtual BNI (Business Network International) best used for reputation management, live demonstration of superior expertise, and for networking in the traditional business sense. You want your fullest story out there on LinkedIn, so that former coworkers can find you and reconnect. Jobs you might not put on your resume because they are no longer relevant to what you are looking to do moving forward should still be on LinkedIn as it adds to your story of what makes the whole you unique. LinkedIn is the “yeah me” site where you are supposed to post your awards and recognition certificates. This is the network where prospects, future employers, potential partners and investors will find you. Tell them how it is. A similar focus need to be in play on Google+. Since Google uses all of the information you put into it to get to know you, you will want to honestly and authentically share who you are. This is not in a big brother, spooky sense but simply because of search. The relevance of search results for “how to grow tomatoes” will vary considerably for a crop producer in New Jersey vs. a lady in a retirement community hoping for a useful plant to offer a bit of shade from a sunny window. The more you help Google, the more they help you. Facebook is a platform to socially interact and connect. Even if that connection is just reminding you which person that was that you just met. It’s about your face – and your public persona. While your cat may be important to you, it doesn’t help anyone connect your name to a face unless you tend to take that cat everywhere you go and always hold it up in front of your face when being introduced to someone new. Twitter may well be allowing longer posts now, but no-one wants to be bothered with a second click. A concise informative 140 characters that ignites a conversation is what the platform was designed for and yields way better results. Pinterest is just curation: collecting together images that speak to you on a variety of levels that you categorize by board so that you can find them again. By sharing these ideas, desires, dreams and inspirations with others, you contribute to a greater, organic community. Where that ultimately takes you remains to be seen. For now, this is a happy neighborhood of “love that”, “cute”, “I’m so doing that this weekend” and other positive engagement. And now I’d like to invite you to claim your free copy of my special report on how to use social media to grow you business over at my Vizzitopia blog. Thanks for reading, please leave your thoughts in the comments. P.S. I’d love to have you connect with me on Facebook! Google uses all the info you put into it to get to know you, you’ill want to honestly & authentically share who you are. Facebook is a platform to socially interact and connect. It’s about your face – and your public persona. Subscribe to get interesting stuff and weekly updates from Celene for a healthier and happier home and family. I'm a coffee loving wife, mom, grandma and lover of all things pertaining to online marketing, living a healthier lifestyle, feeling good about myself and where I'm at in this stage in my life. I'm a Crispy Mama (Kinda Crunchy but not quite. I'm not willing to give up my hair products and I would NEVER ever eat my own placenta!) Oh... and I am crazy about my backyard chickens! God has blessed and enabled me to be a blogger, home business coach and network marketing leader. The tricky part was figuring out how to find balance between business and My Happy Place in life. With His help, I've been able to do just that. I have to agree with everything you said here, although I’ve not tried using pinterest yet. I’m using one of its counterparts, called STUMBLE UPON, which (I think) was created for curation purposes as well. All others mentioned here are certainly useful. It gives me more understanding on what social media are for and how their platforms work. Thanks so much Tina! You’ll have to give Pinterest a try. Be sure to let me know so we can connect there. I appreciate your comment. We use affiliate links to support this blog, my coffee and backyard chicken habits. But don’t sweat it, it won’t cost you a penny more. Blogger, coffee loving wife, mom, grandma, crunchy mama, herbalist, wellness advocate, home business coach and lover of all things pertaining to online marketing. Oh… and crazy about backyard chickens! Fix Your Gut Because Health Is Happiness. This stuff works, guaranteed! My husband and I have been using this gut health system for 5 years and have had MANY health issues resolved because we now have a healthy gut. 60 day money back guarantee. Absolute best optimized schedule times, hashtag suggestions & analytics that show you exactly what's working. 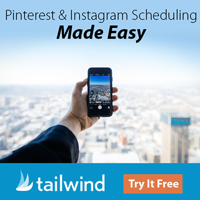 Tailwind scheduling tool has changed my business & it can change yours too! 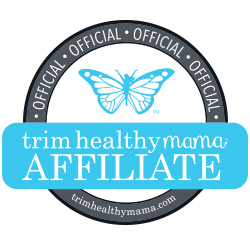 YOU’LL LOVE THE TRIM HEALTHY MAMA PLAN! Some blog posts contain affiliate links. If you purchase from them I will make a commission that keeps me in coffee and my backyard chicken addiction – with no additional cost to you. Go here for my full disclosure and legal mumbo jumbo.